Except besan, grind all the ingredients together in a mixer. Add besan to the grounded mixture. Make balls out of this mixture and deep fry. 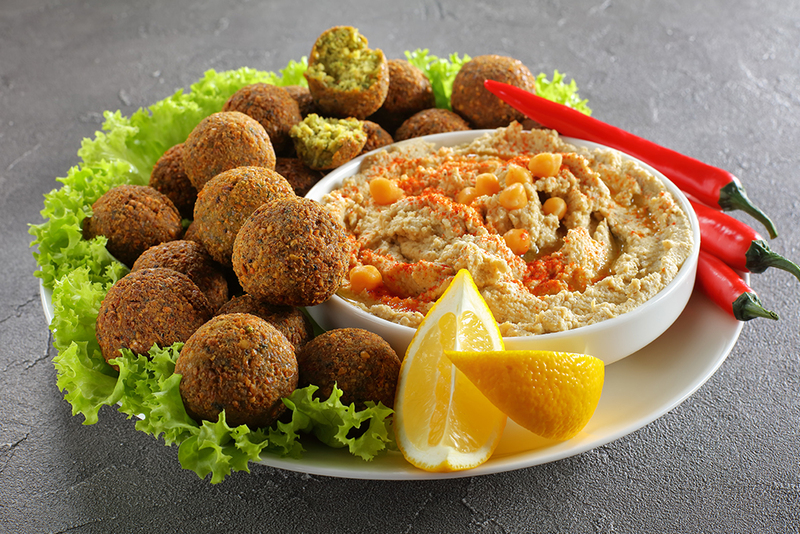 Keep the falafel balls aside. Grind all the ingredients to make a smooth paste. If needed, add some water to dilute this paste. Pour it in a serving bowl and add olive oil.